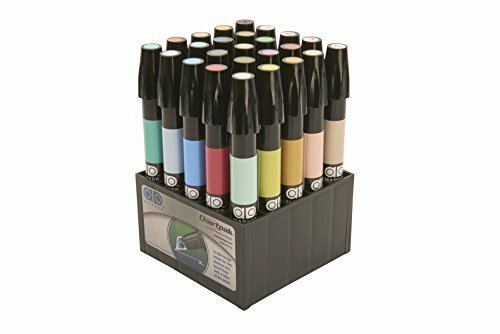 Art markers let you create all kinds of amazing drawings. They allow you to use creative techniques and vivid colors that are normally only seen with paint. The best part is that they come in a convenient and portable package. Art markers can be brought with you almost anywhere. From school to work and even en-plein-air. There are hundreds of different colors available so you can find the right hue no matter what you are drawing. 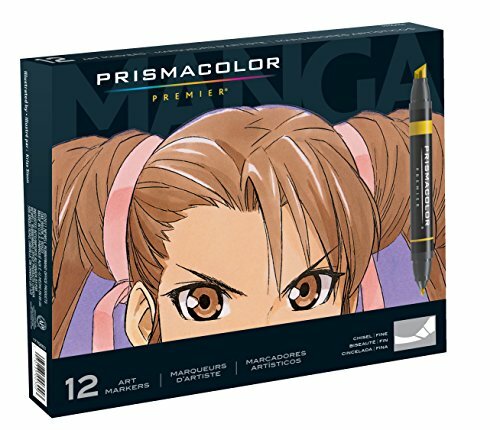 There are sets that are specifically designed for figurative work and skin tones; sets made with bright vivid colors for manga; and many more. If you can’t find the exact color that you want, you can even layer colors together to mix them. Not only are there a ton of different colors available, there are also many different shades from dark to light. This allows you to make realistic drawings on three-dimensional objects, and so much more. 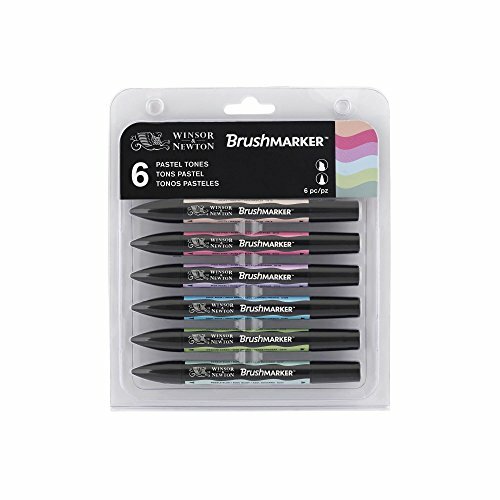 Here are the top art marker sets for all kinds of artists, designers, and craftspeople. Art Markers are similar to normal markers. They consist of a tube filled with ink, and a felt tip, that releases the ink onto your paper when it is pressed down. The difference between art markers and regular ones is that they come with high-quality vibrant inks are meant to be smoothly layered. Not to mention the hundreds of colors and shades. Some art markers also come with different shaped tips. This allows you to get the perfect mark you need for your artwork. These Markers have both a skinny-tip for really detailed areas and a large flat chisel tip for covering large areas. There is a tip on either end of the marker and they share one unique ink reservoir that is in the middle of the marker. This means that you will have consistent and uniform color no matter which end you use. The best part is that they come in several different sizes of sets. There are 12, 24, 48, 72, 156 piece sets. There are also special sets that contain only cool-grey and warm-grey for all of those mid tones. They are designed to make a very smooth application and use high-quality and vibrant inks. They also are made with and alcohol based, non-toxic, dye-based ink. Copic Sketch markers feature a unique Super Brush nib. This nib feels works like a paint brush tip. These art markers feature a comfortable oval shape. The best part about these high-quality markers is the incredible range of colors that they come in. Copic markers are available in 358 different hues. The markers are refillable with Copic inks. You can also replace the brush tip when it gets worn out. This ensures you always have a crisp edge when you need it. 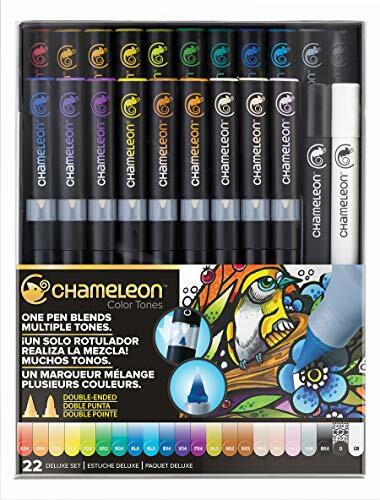 Chameleon double ended markers provide a really unique way to blend colors and create gradations of tone (changing from light to dark). Each pen comes with a mixing cap that adds a colorless filler to the selected nib. The longer you hold the mixing cap, the more filler is added. When you go to use the marker, you will initially only be releasing the colorless filler. Then as it drains from the nib and onto the paper, the color will gradually return and create a faded gradient. Colors can also be layered on top of each other like other art markers to create new mixes of colors. A really unique trick is to layer two gradients of contrasting colors in opposite directions. This lets you easily fade from one color to another. 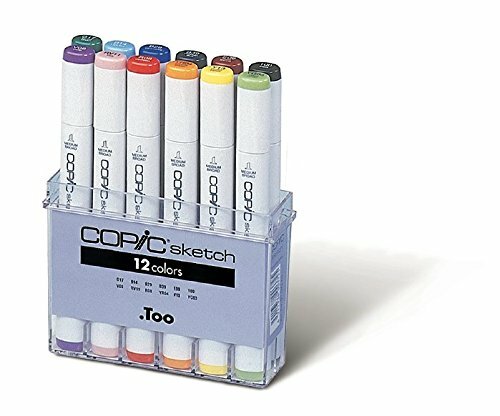 Copic is a leading name in art markers. 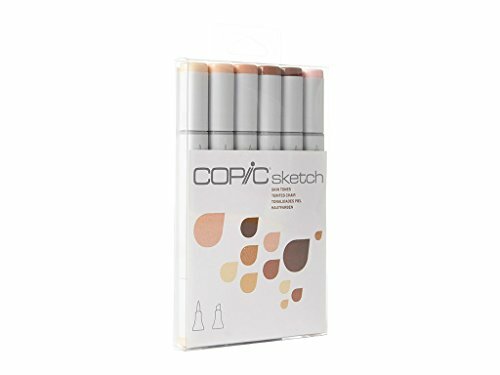 This set of skin tones is great for artist who are creating realistic depictions of the human form. They come in a convenient pack of 6 so you don’t need to buy all of the markers individually. Great if you are making portraits, manga, or comics that feature people. This is the second time Prismacolor markers have been featured on this list. This set has the same high quality features that we mentioned previously. It is perfect if you are creating manga comics. It features colors that are commonly seen in Manga. This includes skin tones, an an assortment of primary and secondary colors. A colorless blender marker is an essential tool if you are working with art markers. This Prismacolor marker is clear. It allows you to blend two or more colors together once they have been applied to the paper. This helps save your other colors (especially lighter ones) from getting dirty. It is always a good idea to have a fresh blender marker on hand. These work best when used on specific marker paper. This helps to make the blending appear smoother and the colors more vivid. These markers feature a very innovative nib design. It has a unique shape that lets you draw in 3 different widths. By rotating the marker you can have a fine point, a medium width, and a wide tip for creating broad strokes. The xylene based ink on these markers is vibrant and comes in a huge range of colors. 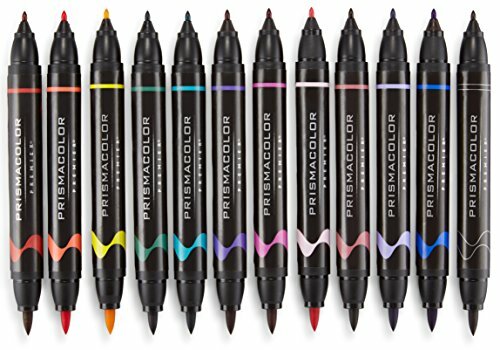 These brush tipped markers feature colored india ink. This makes them very light-fast, which means they won’t fade as easily as some other markers. The Brush tips act like a brush, but in the convenient form of a disposable marker. 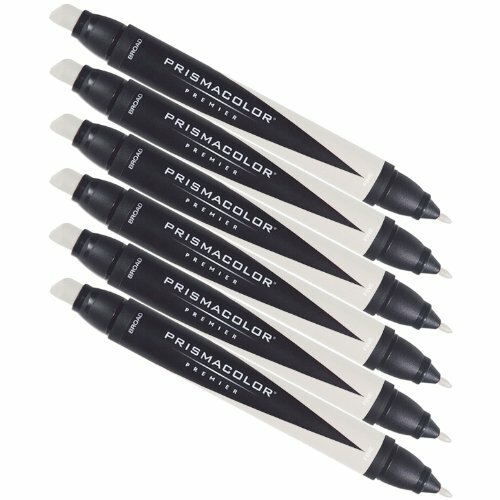 These markers are twin-tipped markers like many others on the list. They offer a wide chisel nib on one end for covering large areas. 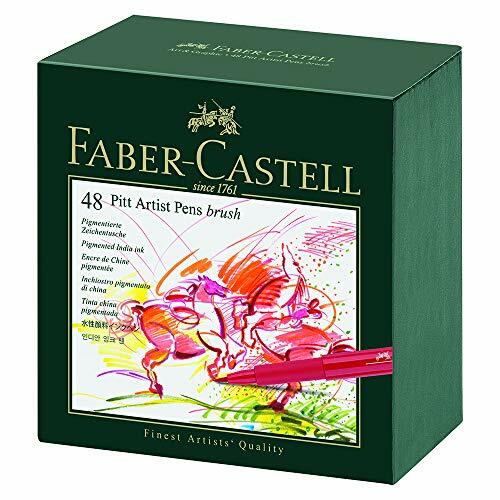 The other end is a flexible brush nip that allows for finer detail or a more calligraphic mark. There are 72 different rich colors available that can be blended to create even more. This set includes several pastel hues that are great for drawing skies and sunsets, or anywhere that subtle hues are needed.